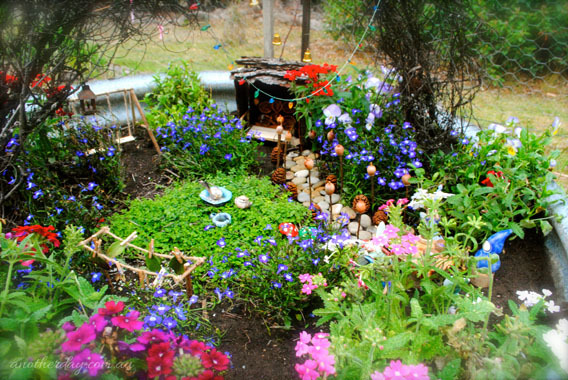 Every year The Magic Onions hold a fairy garden competition. 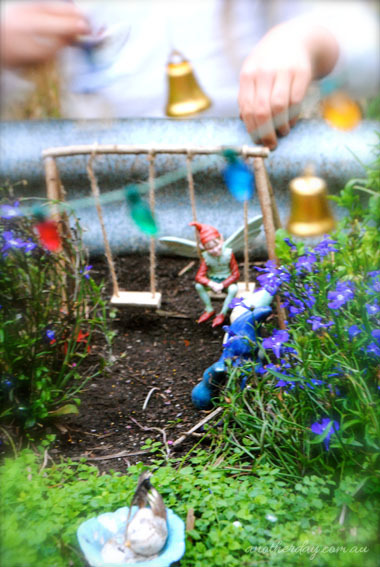 As I was looking through this year's entries, one fairy garden caught my eye. 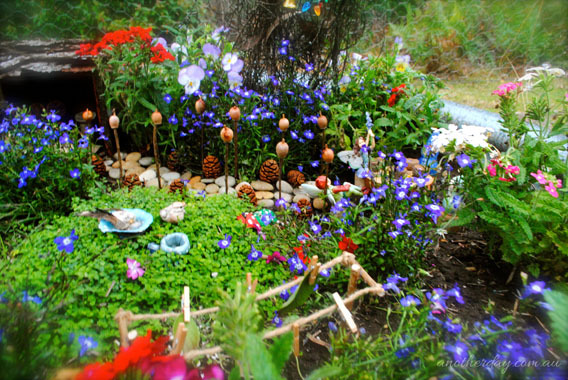 This charming fairy garden was created by one of our customers, Elke. We've featured a selection of her photos here but you can see many more and read all about Peach Blossom Cottage and Gardens on Elke's blog, Another Day. 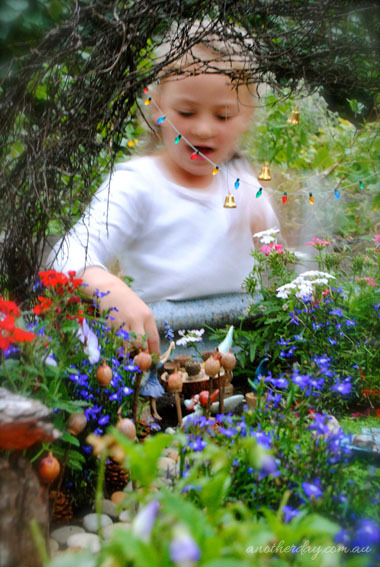 A heartwarming story of the fairy garden where father and daughter create, magic visits and children play. Elke writes '...I always enjoy to stop, be marvelled by and smile at the sweet little creations that have sprung up through my children’s play; acorn tea cups filled with pansy pudding, a clothes line pegged with leaf towels and beds made snuggly soft by petals of sweetly scented rose blooms. I love to see where the bike has been ‘ridden’ to, who has ‘stopped in for tea’ that day and which little folk are currently ‘at the park’. 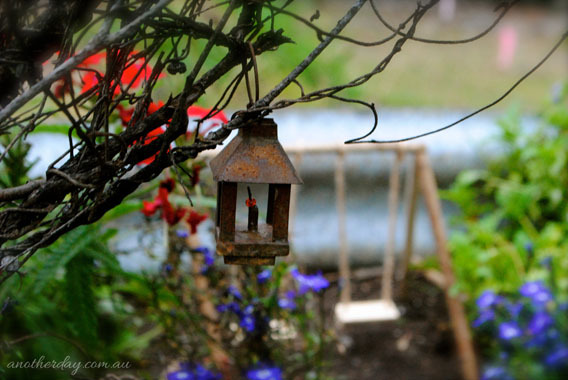 I love how they have used elements from nature to create their own accessories and that the garden has been raised, making it the perfect height for little ones to reach in and play. Thank you Elke for allowing us to share these photos on our blog. 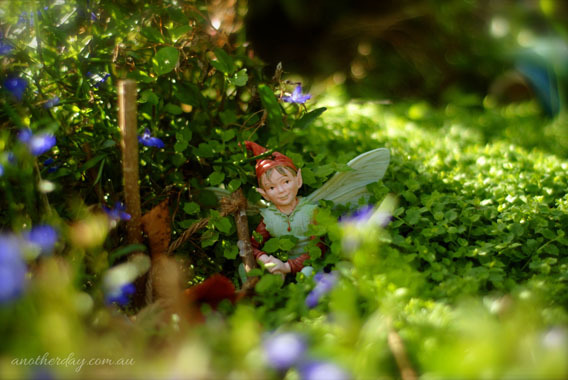 I'm sure this will inspire many more fairy gardeners out there.